New York, NY – (February 6, 2019). Chairman Philippe de Montebello announces the election of Bob Vila, Emily Kernan Rafferty, Jonathan Hogg, and Elizabeth Goizueta to the Board of Trustees of the Hispanic Society Museum & Library. The four new trustees join Board members Philippe de Montebello, Mariette Arguimbau Scott, William R. Harman, Francisco A. Lorenzo, Miner H. Warner. 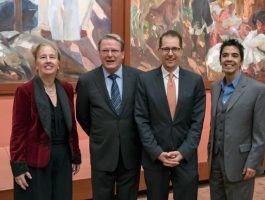 Andrés V. Gil, Antonio del Valle Ruiz, Ana Laffont, and Mark H. Rosenberg. “It is my pleasure to welcome these enthusiastic and deeply committed members who bring exceptional skills and experience to our Board,” commented Mr. de Montebello. Bob Vila has spent his career helping people upgrade their homes and improve their lives. A Cuban-American, he was born in Miami, Florida, and graduated from the University of Florida with an Associate’s degree in Architecture and a degree in journalism. He then joined the Peace Corps as a Community Organizer in Panama City, Panama and worked in a squatter community of 60,000 people. After the Peace Corps he spent time working in Germany and then moved to Boston, Massachusetts where he started his own design and remodeling business specializing in restoring neglected brownstones in Boston’s Backbay. In 1977 he was hired as the original host of This Old House on PBS. From there his name became synonymous with home DIY. In hosting Bob Vila’s Home Again, and Restore America with Bob Vila, he taught millions of people the role that good design and often sweat equity play in creating their homes. 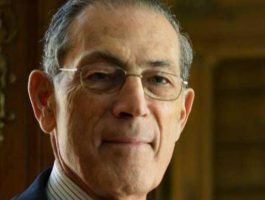 During the last decade, Mr. Vila has channeled his passion for renovation into helping with the restoration of Ernest Hemingway’s home and collections at Finca Vigía near Havana, Cuba, and currently is Board Chair of the Finca Vigía Foundation. Hemingway lived there from 1939 until his death in 1961 and left it to the Cuban people as a museum. Emily Kernan Rafferty, President Emerita of The Metropolitan Museum of Art, served for 40 years at the Museum as chief of institutional advancement, Senior Vice President of External Affairs, and as President from 2005 to 2015. As President of the Met, she was the Museum’s chief administrative officer, supervising a staff of 2,000 full- and part-time employees and volunteers. Ms. Rafferty’s global experience took her to some 50 countries on behalf of the Museum as she worked with government and private sector officials on initiatives involving funding, marketing, international art loans, legislative affairs, and cultural issues. Ms. Rafferty served also as a Board member of the New York Federal Reserve Bank (2011-2017; Chair, 2012-2016), and as a UNESCO Senior Adviser for Heritage Protection and Conservation (2015-2017). Since 2008, Ms. Rafferty has been Chair of NYC & Company (the city’s official tourism and marketing organization), while continuing to serve as a board member of the National September 11 Memorial & Museum, PJT Partners, and Koç Holdings, Istanbul. Formerly an Advisory Board member of the Bipartisan Congressional Commission for The American Museum of Women’s History in Washington, D.C. (May 2015-December 2016), she continues to serve as an advisor to the Smithsonian for the advancement of that project. As principal of Emily K. Rafferty & Associates, she currently consults for several organizations, including Russell Reynolds Associates in that firm’s nonprofit practice and for The Shed, a performing arts center under construction at Manhattan’s Hudson Yards. She is also an Advisory Director to Carnegie Hall, a member of the Advisory Council of the American University of Beirut, a Board member of Global Hope Coalitions, a member of the Advisory Board of The European Fine Arts Fair (TEFAF), and is a member of the Economic Club and the Council on Foreign Relations. The recipient of many awards and honors, Ms. Rafferty was named by Crain’s New York Business one of New York City’s 100 most influential women from 2009 through 2013, and in Fall 2015 she was elected to its Hall of Fame. In 2012, she received New York University’s Lewis Rudin Award for Exemplary Service to New York City, and in 2018, received a Lifetime Achievement Award from the 9/11 Memorial and Museum. Mr. Jonathan Hogg is an Associate at Ferguson & Shamamian Architects, LLP, in New York City. In 1993 he graduated with a Bachelor of Architecture degree from the College of Architecture, University of Miami, Florida. Prior to joining Ferguson and Shamamian Architects, LLP, he was a Design Associate at Allan Greenberg Architect, New York City, and Project Architect/Project Manager at Shope Reno Wharton, South Norwalk, Connecticut. Mr. Hogg has served as a trustee of Villa Vizcaya, Miami, Florida, and currently is a board member of the Sir John Soane Museum Foundation, New York City; a board member and fellow of the Institute of Classical Architecture & Art, New York City; a trustee of Seraphic Fire Choral Ensemble, Miami, Florida; and prior to his election to the Board of Trustees, was a member of the Hispanic Society’s International Advisory Council. Elizabeth T. Goizueta teaches in the Hispanic Studies section of the Department of Romance Languages and Literatures at Boston College, and is the former Assistant Director for Spain and Latin America at Boston College’s Office of International Programs. While at OIP, Prof. Goizueta helped integrate students’ study-abroad experience into the broader curriculum at Boston College. Her research interests are focused on the relationship between art and literature in twentieth-century Latin America and Spain. She works closely with the McMullen Museum of Art at Boston College to promote Latin American art, where she has curated the exhibitions and edited the catalogs for MATTA: Making the Invisible Visible (2004); Wifredo Lam: Imagining New Worlds (2014), and the High Museum of Art, Atlanta (2015); Esteban Lisa: The Abstract Cabinet (2017), organized by and presented at the Fundación Juan March, Palma, Mallorca, the Museo de Arte Abstracto Español, Cuenca, and the McMullen Museum of Art, Boston College; and Rafael Soriano: The Artist as Mystic at the McMullen Museum, Boston College (2017), Long Beach Museum of Art (2017), The Patricia and Phillip Frost Museum, Florida International University (2017-2018), and Museo Nacional de Bellas Artes, Havana, Cuba (2018). 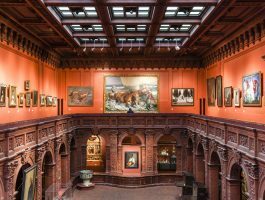 The Hispanic Society Museum & Library was founded in 1904 by Archer M. Huntington as a free public museum and library with the purpose of advancing the study and appreciation of the arts, literature, and cultures of the Hispanic world. Museum highlights include masterworks by Mor, Morales, El Greco, Velázquez, Zurbarán, Murillo, Goya, and Sorolla; sculpture by Gil de Siloe, Juan de Juni, Pedro de Mena, and Luisa Roldán; Latin American paintings by Vázquez, López de Herrera, Luis Juárez, López de Arteaga, Correa, Rodríguez Juárez, Campeche, and Arrieta; as well as masterpieces in all areas of the decorative arts. 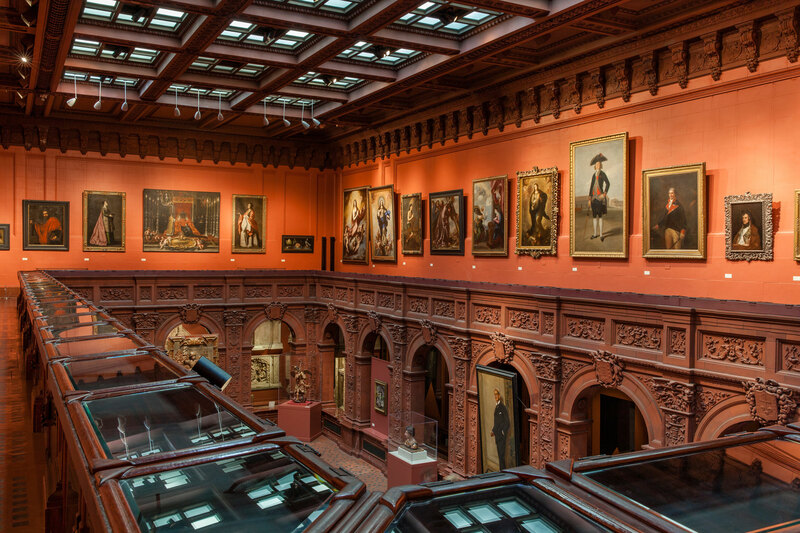 The Hispanic Society offers a variety of free educational and public programs. The Hispanic Society was designated a National Historic Landmark in 2012 in recognition of the fundamental role it has played in the promotion of Hispanic art and culture for over a century. 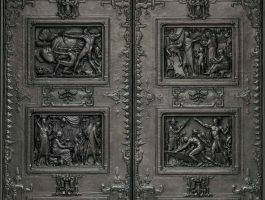 The Hispanic Society Museum’s Main Building is currently closed for extensive renovations, although the library is open by appointment. While the museum is closed, the Hispanic Society Museum & Library has organized the major traveling exhibition, Visions of the Hispanic World: Treasures from the Hispanic Society of America, which currently is being presented at the Albuquerque Museum, through 31 March, to be followed by the Cincinnati Art Museum, 25 October 2019 – 19 January 2020, and the Museum of Fine Arts, Houston, 1 March – 25 May 2020.
follow the museum on www.facebook.com/hispanicsociety, www.twitter.com/HSAmuseum, and www.instagram.com/hispanic_society.